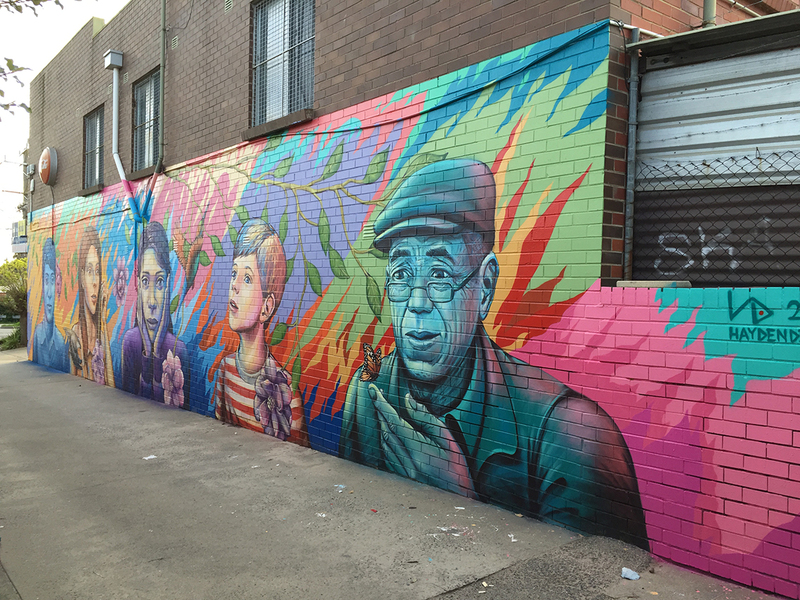 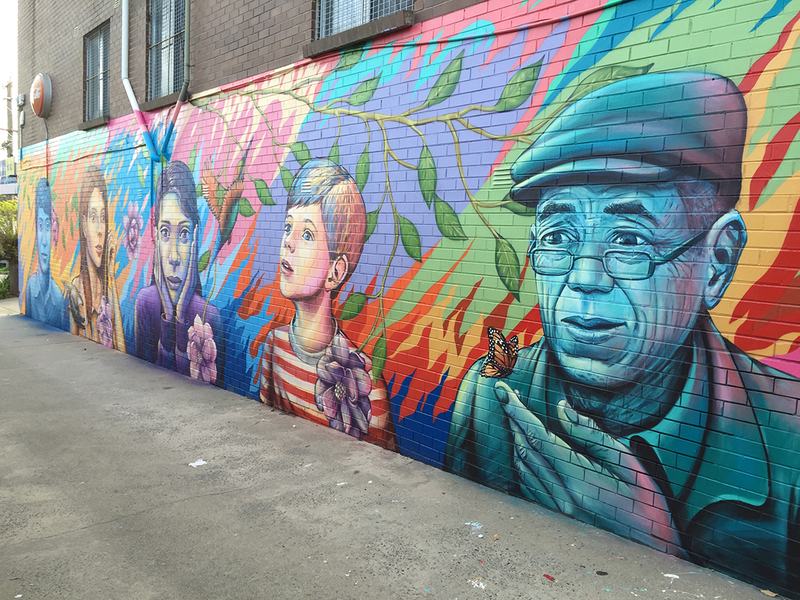 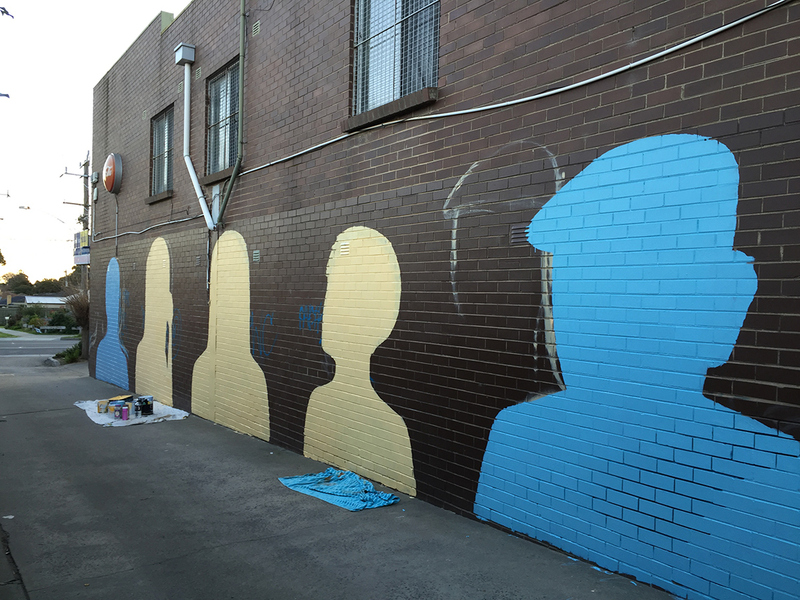 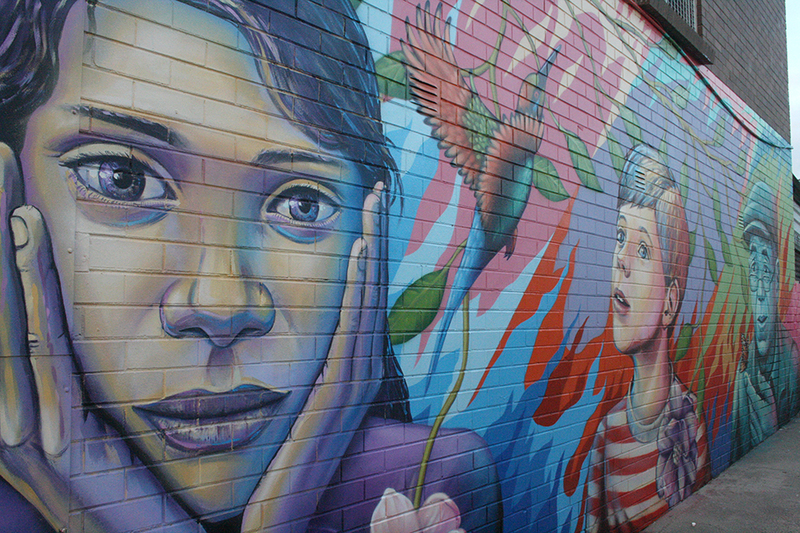 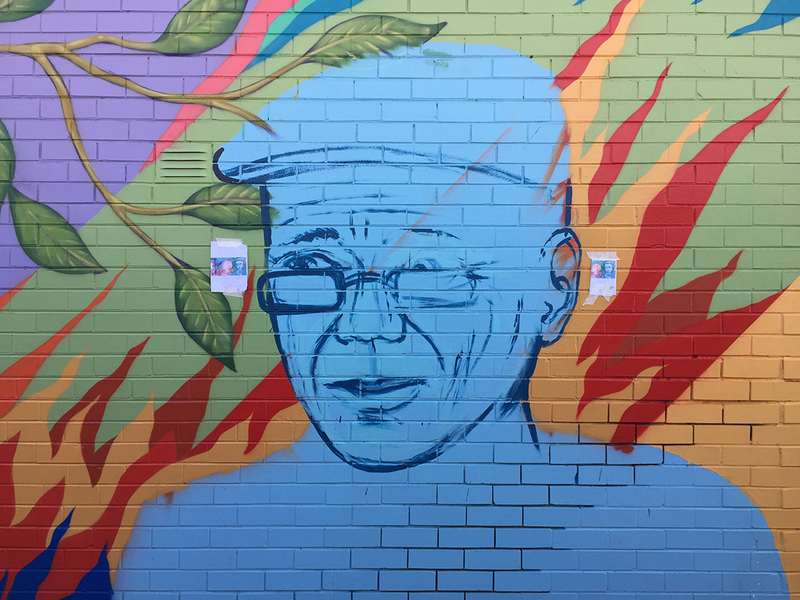 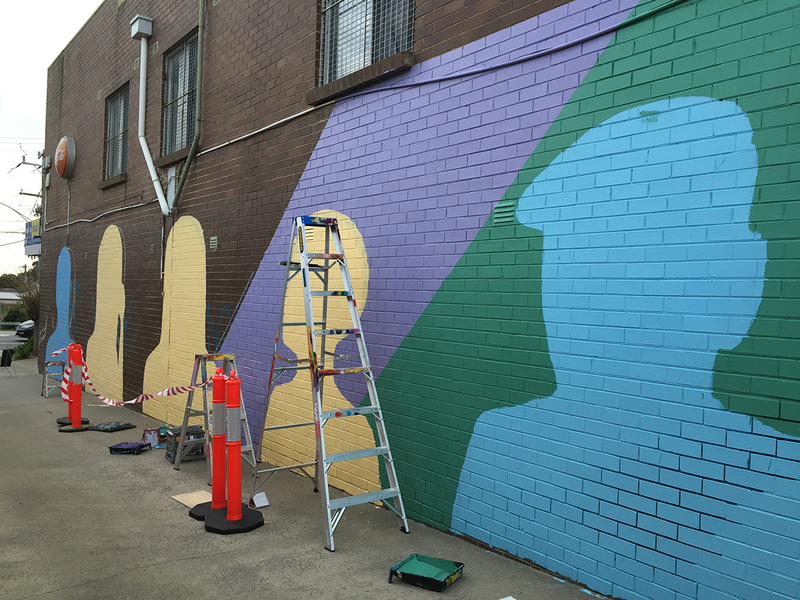 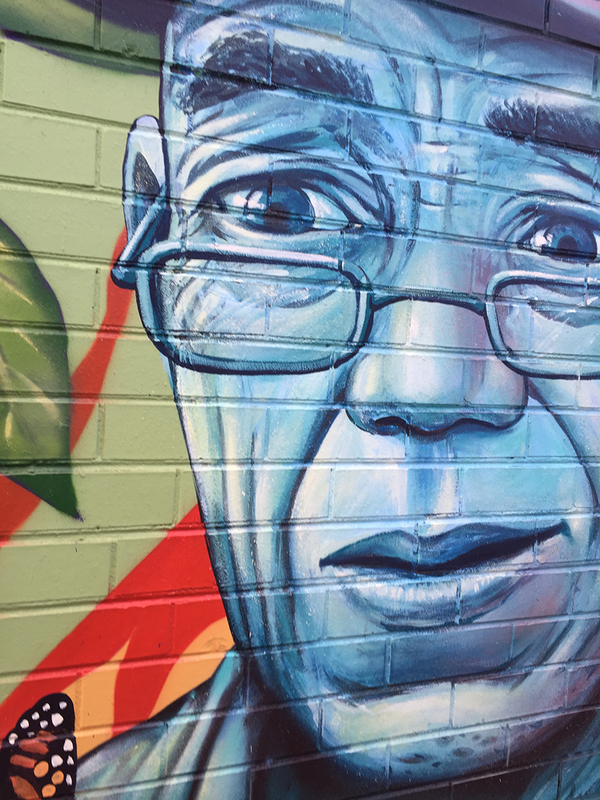 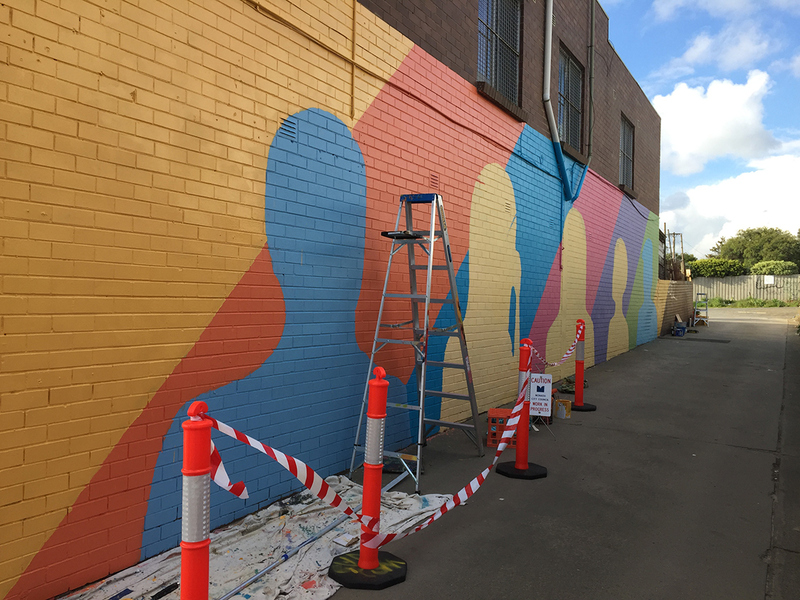 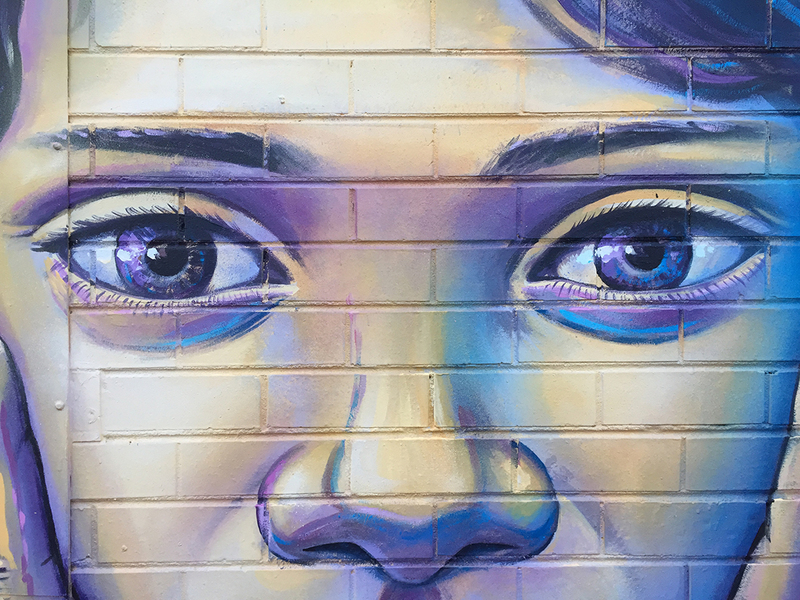 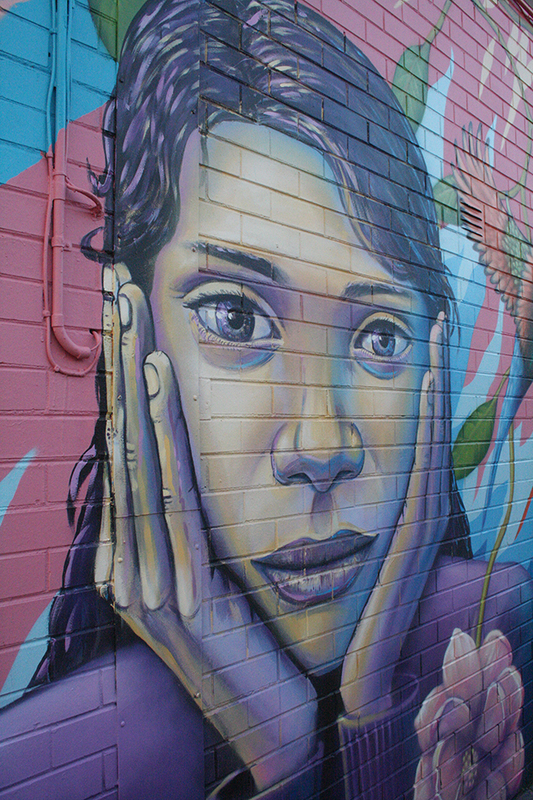 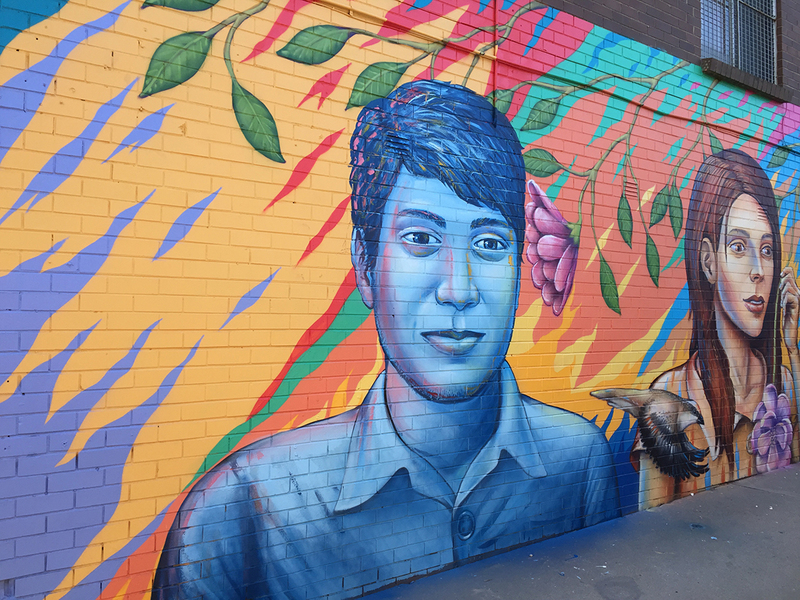 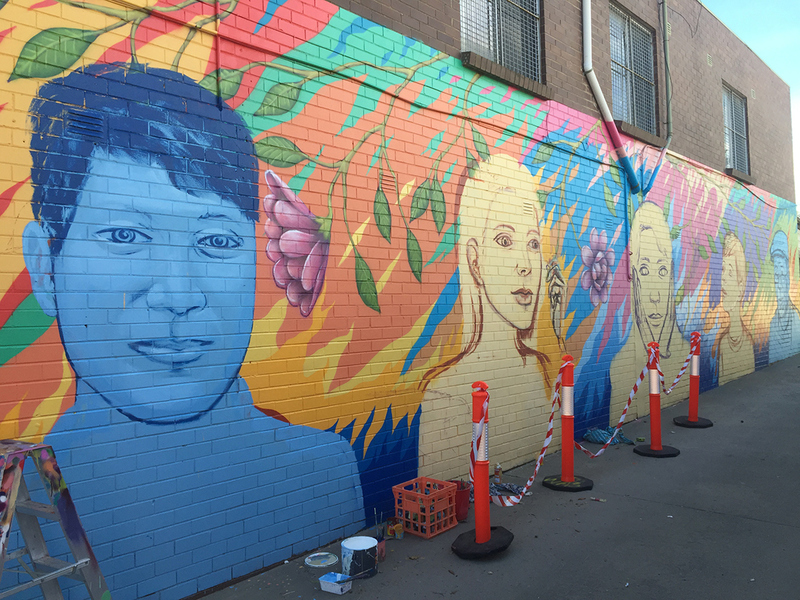 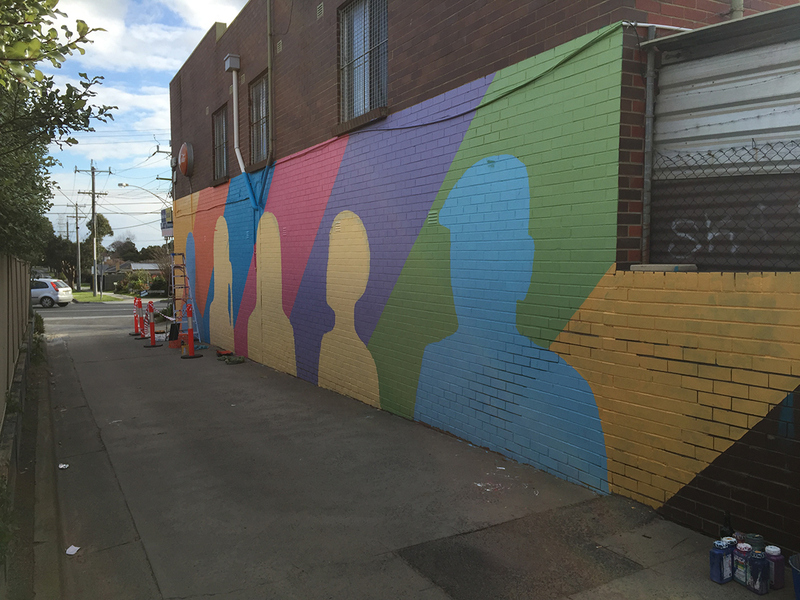 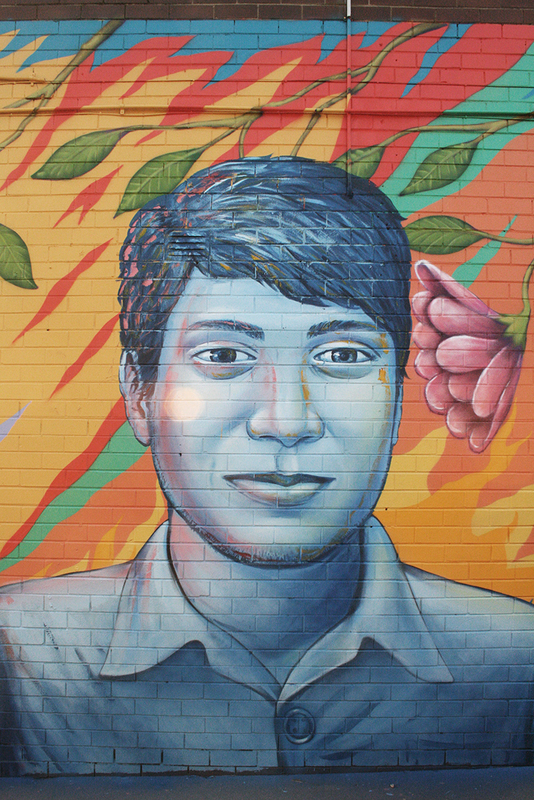 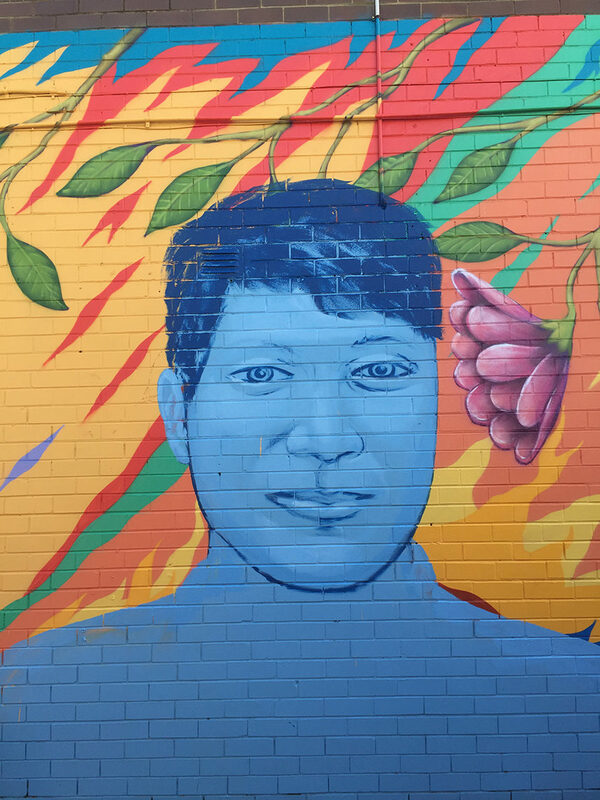 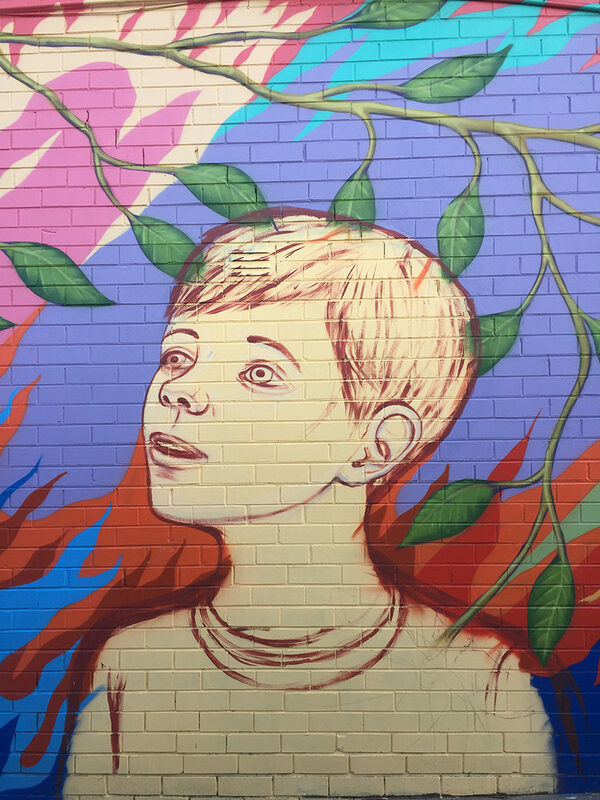 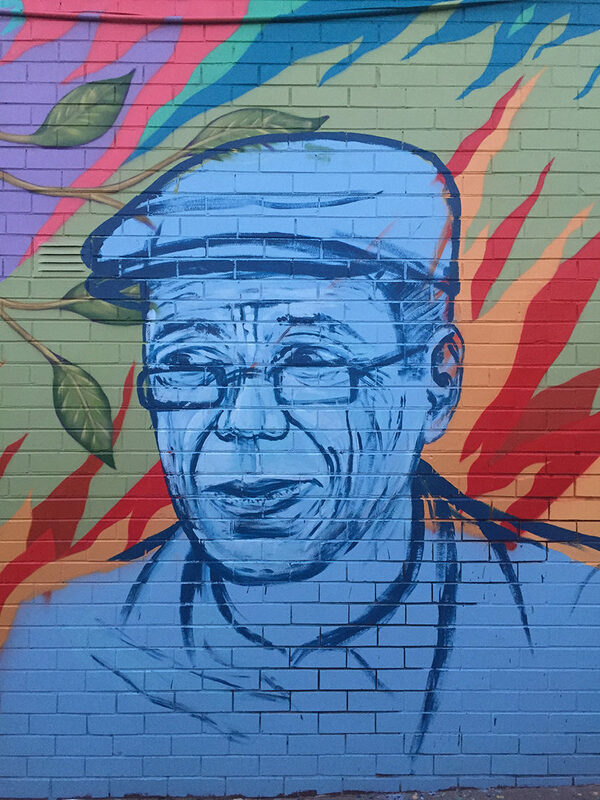 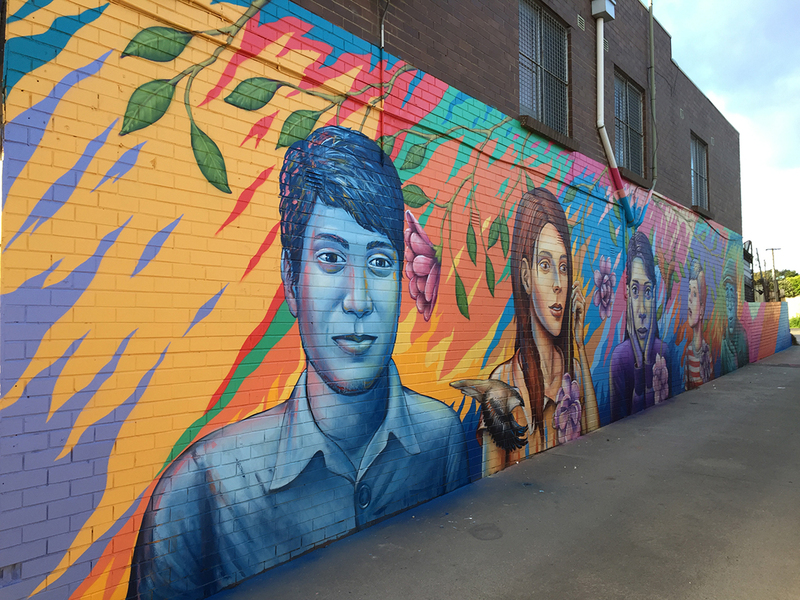 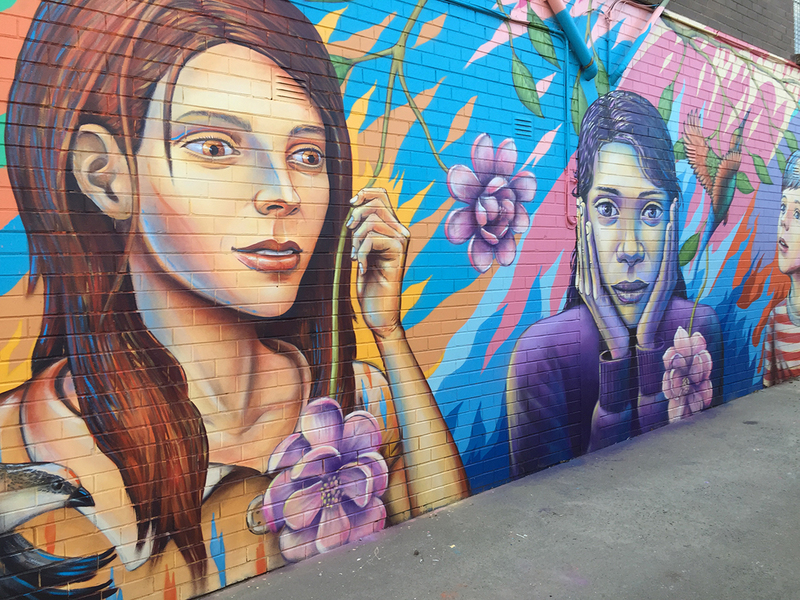 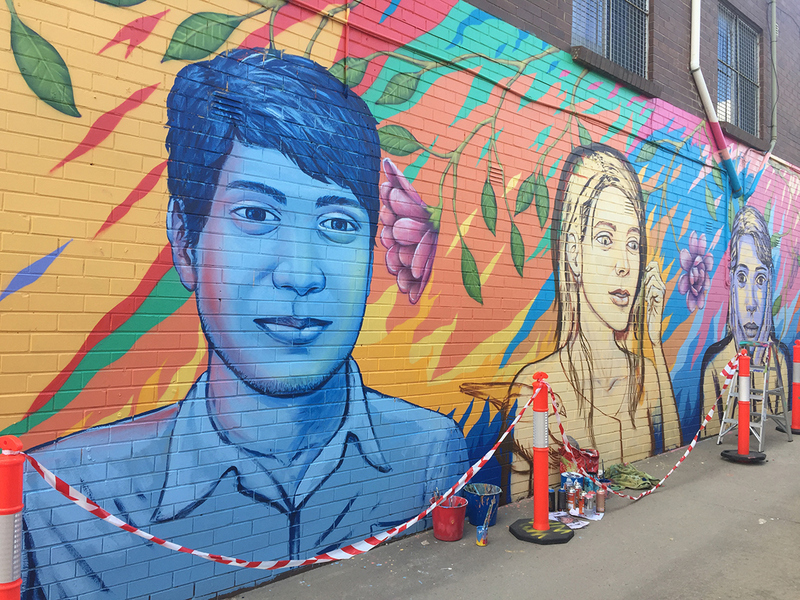 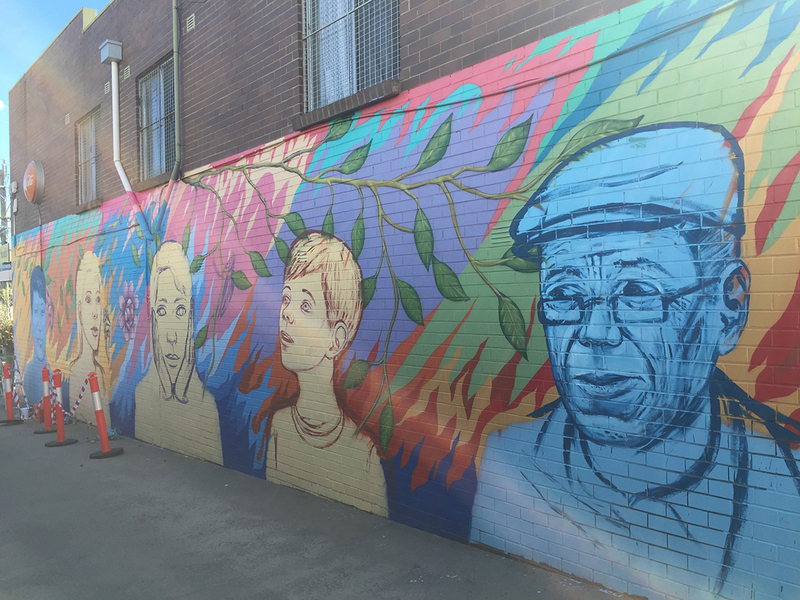 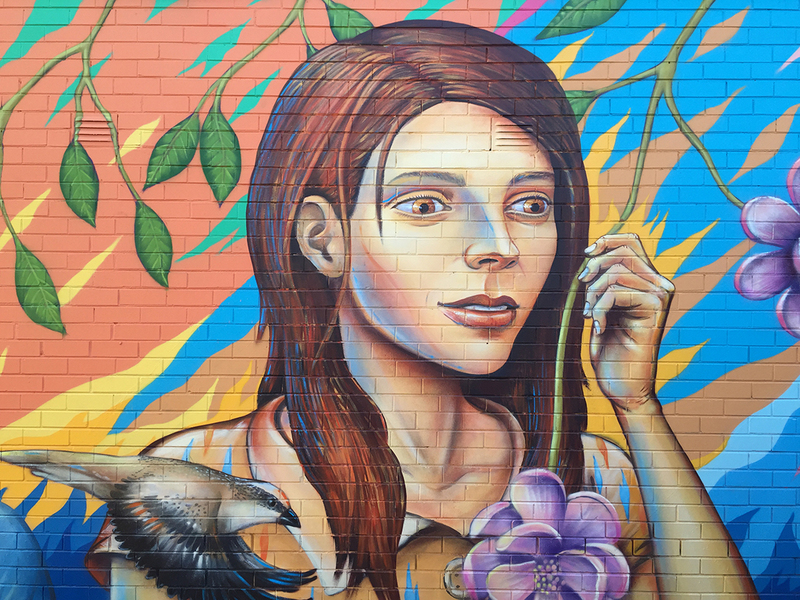 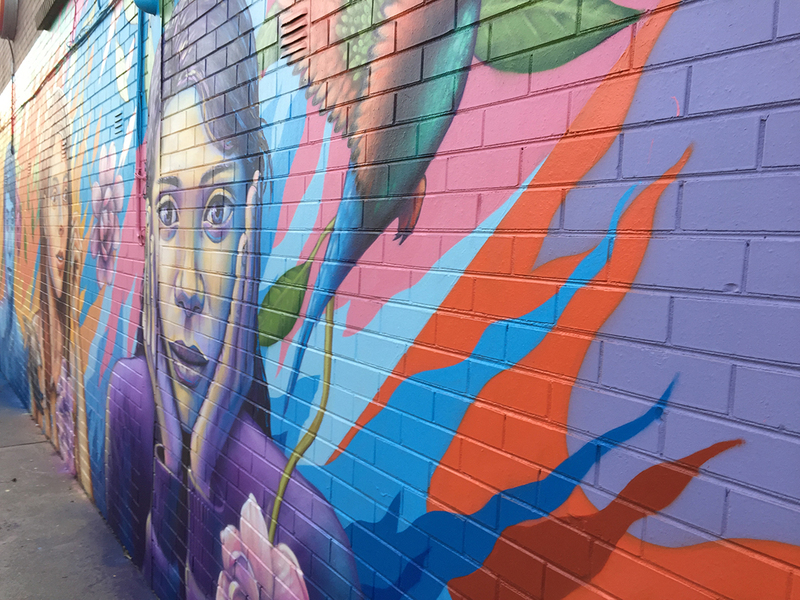 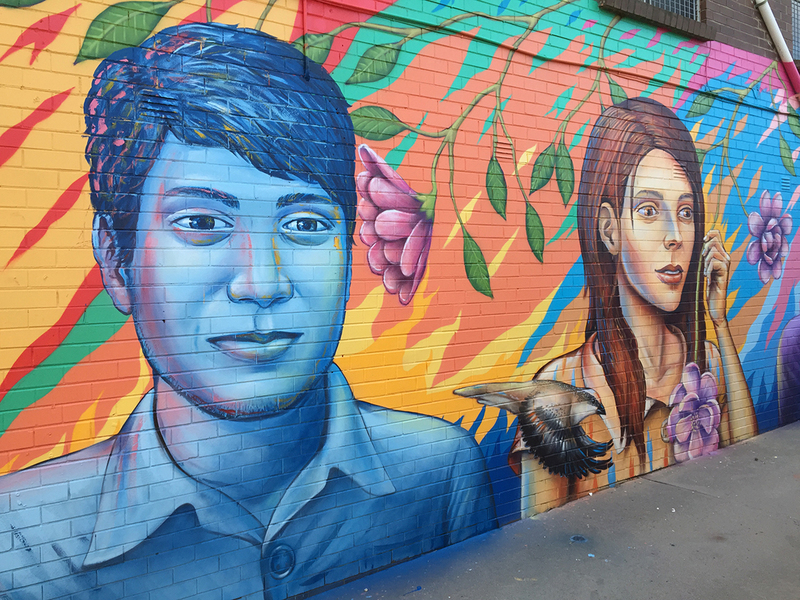 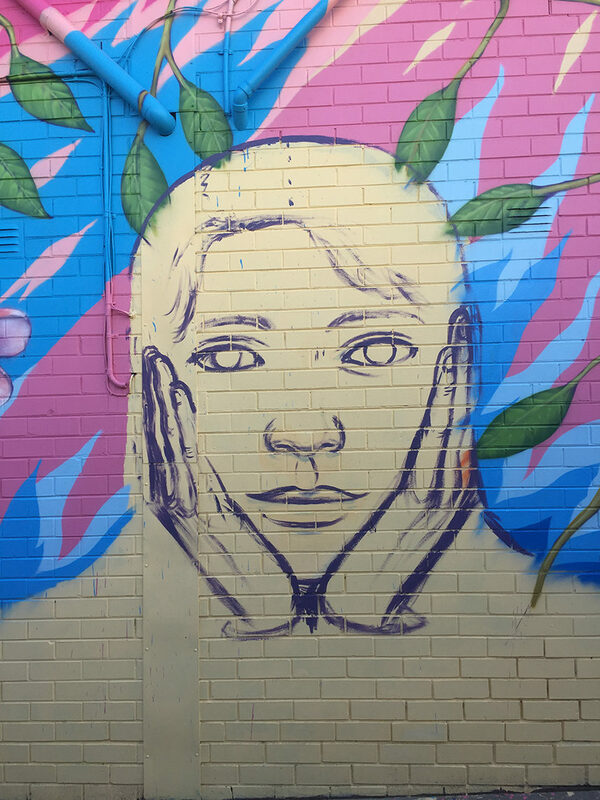 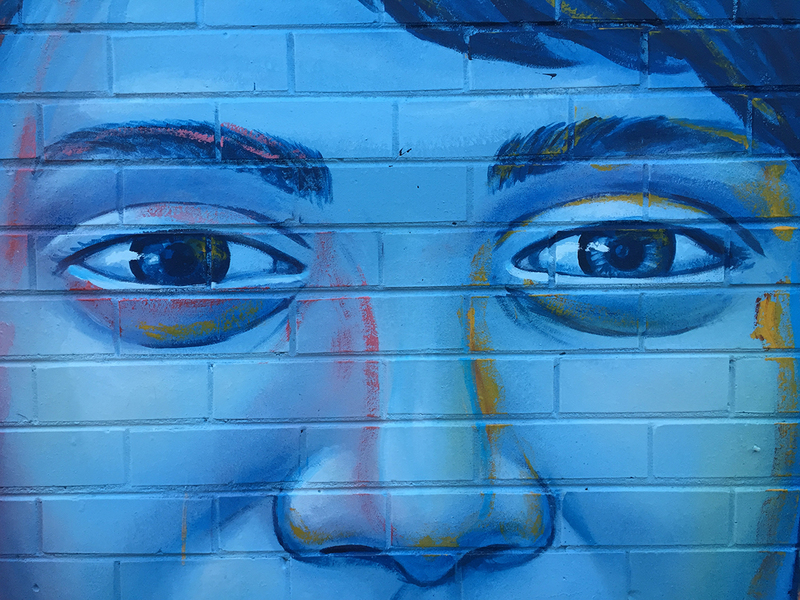 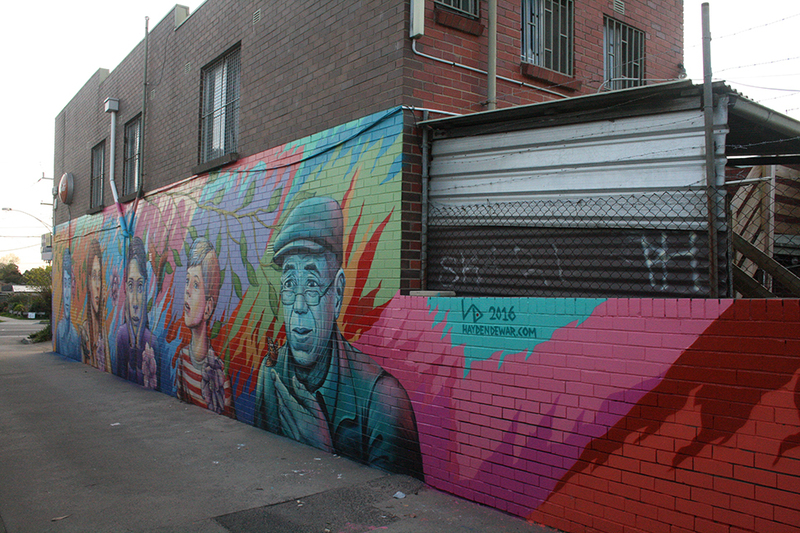 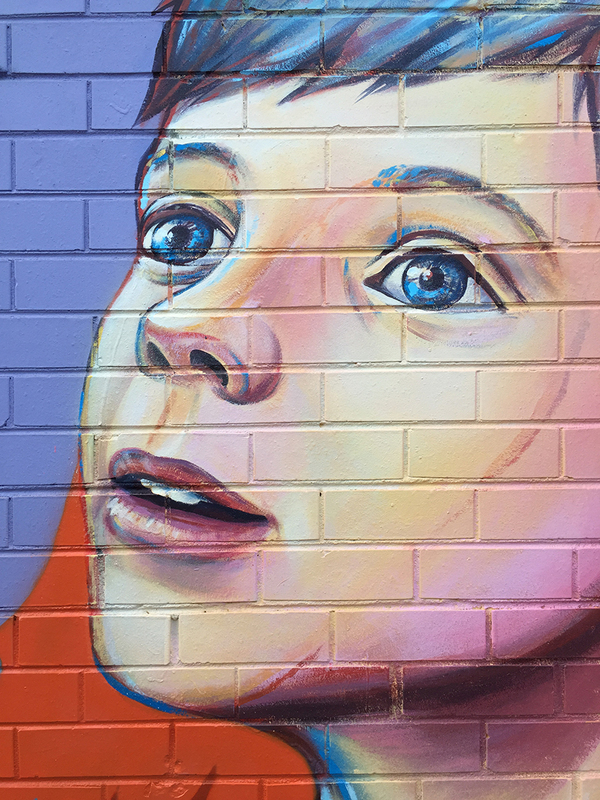 In August 2016 I was commissioned by City of Monash council to paint a mural in Mulgrave – the brief included among other things themes of ‘community’ and ‘multiculturalism’. 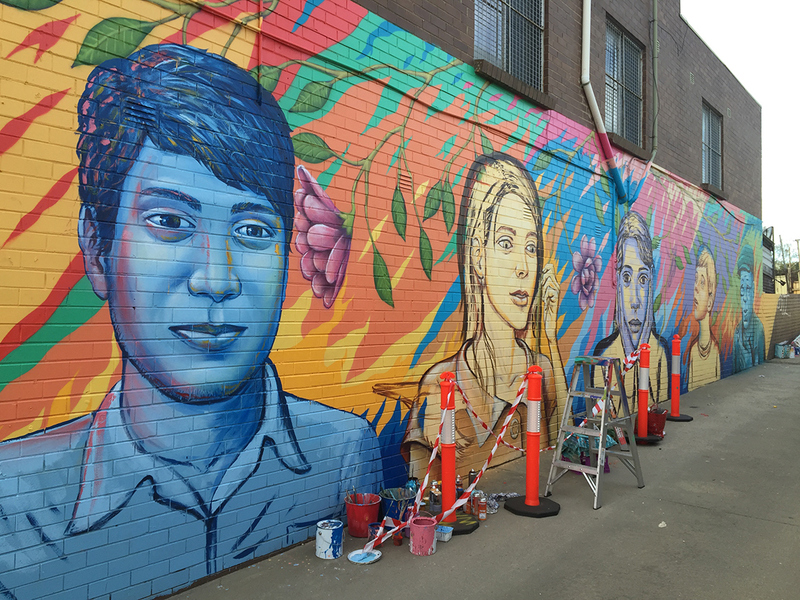 I created a design that portrayed a representation of the diverse background of Mulgrave residents – these are character portraits constructed from multiple pieces of reference and altered to portray an idea of a diverse and vibrant community rather any one particular person. 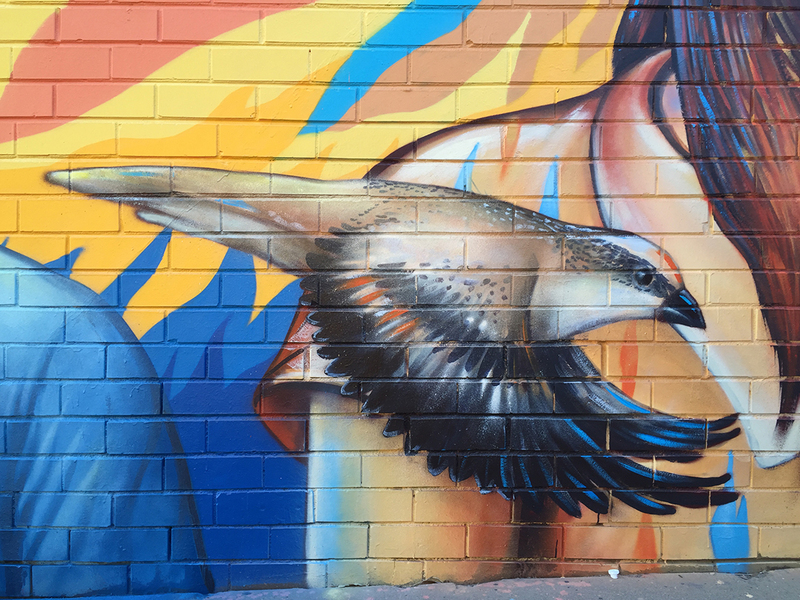 I combined this with some reference of the local flora and native birds that inhabit the surrounding area to evoke an image of a community in harmony with nature. 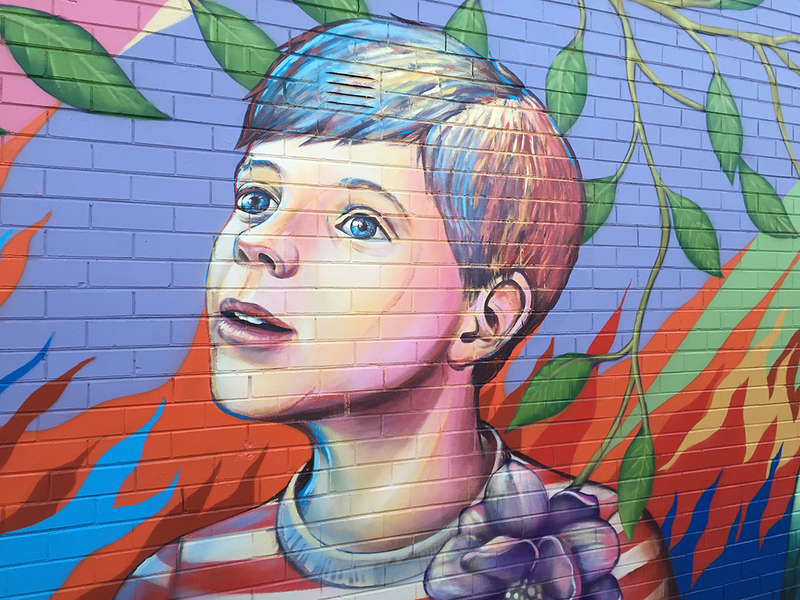 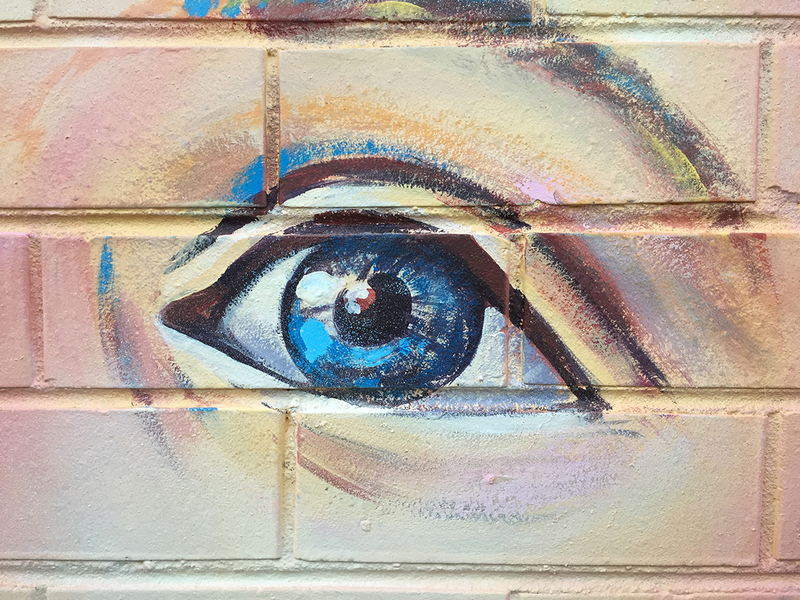 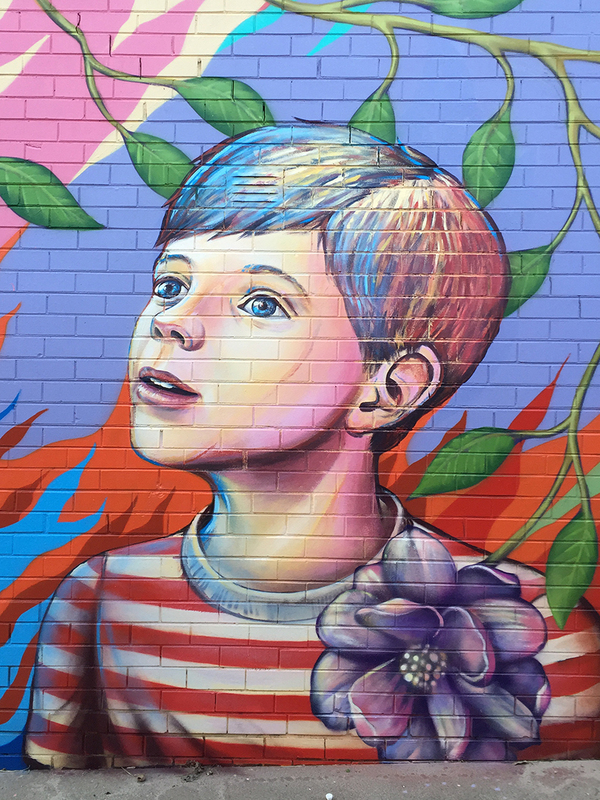 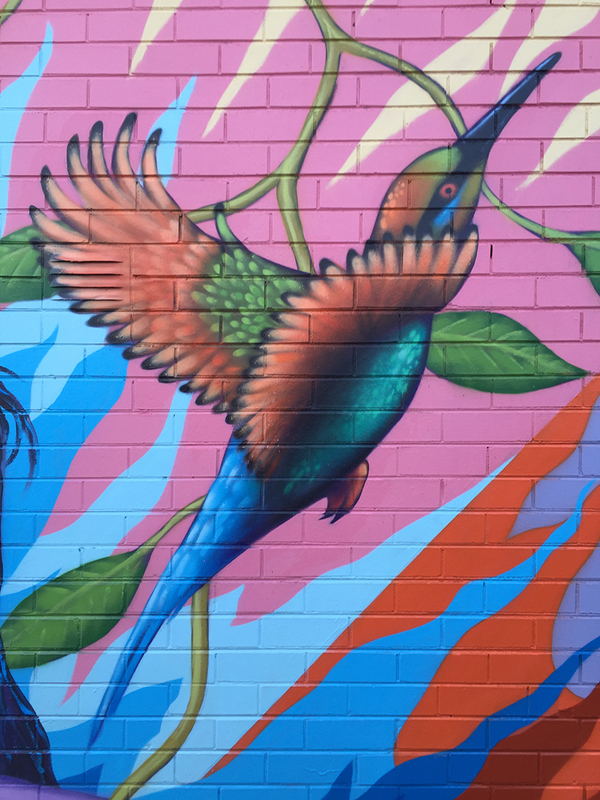 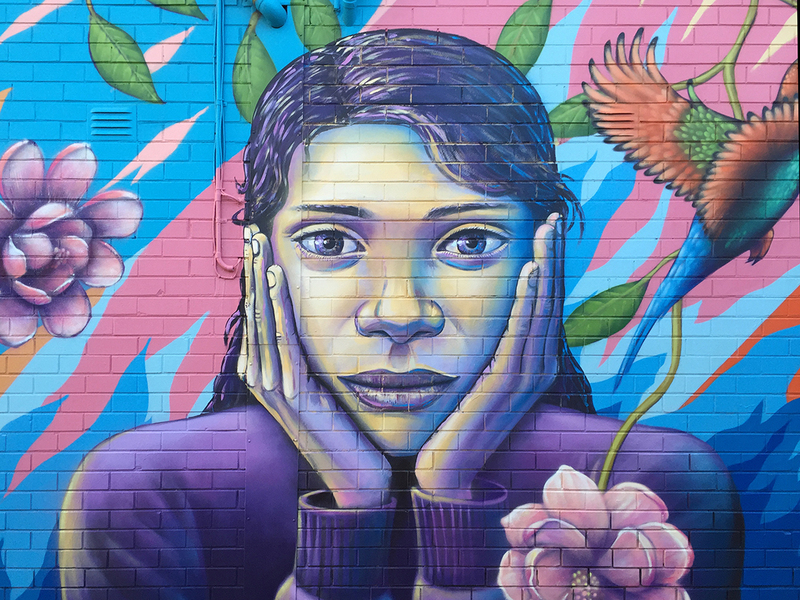 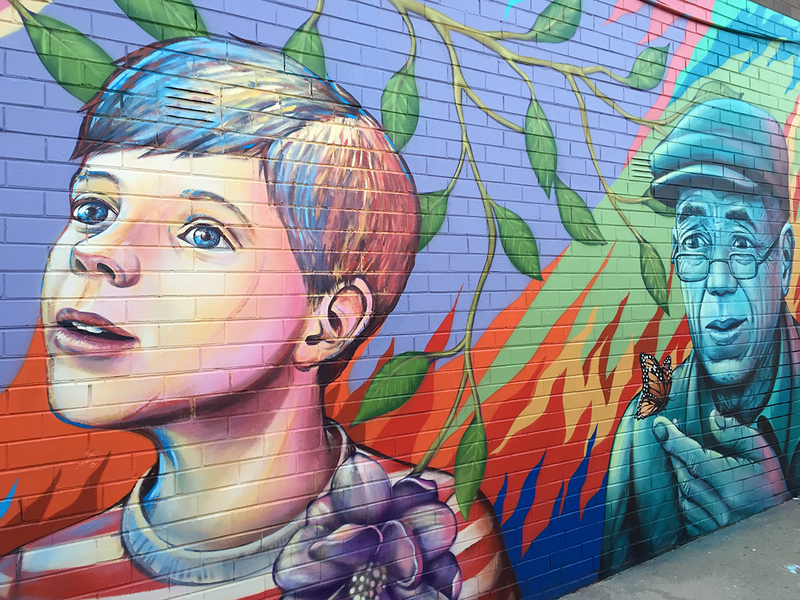 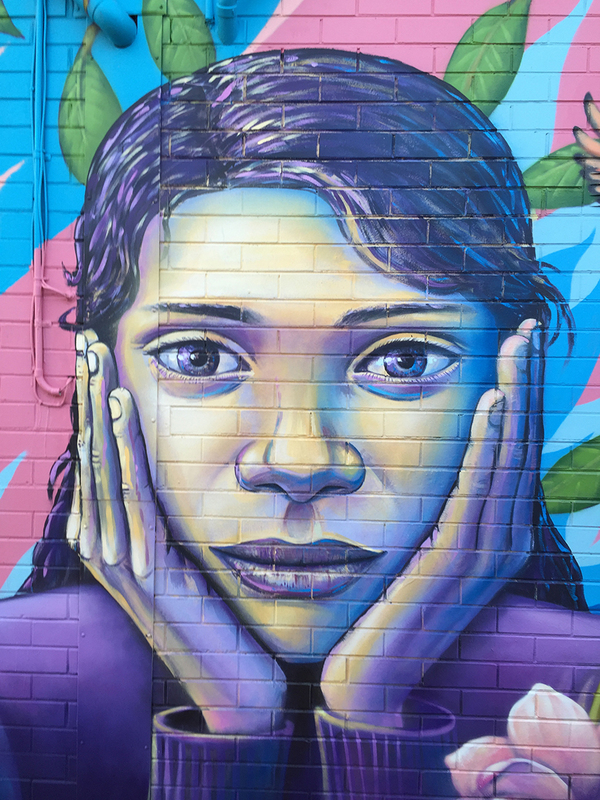 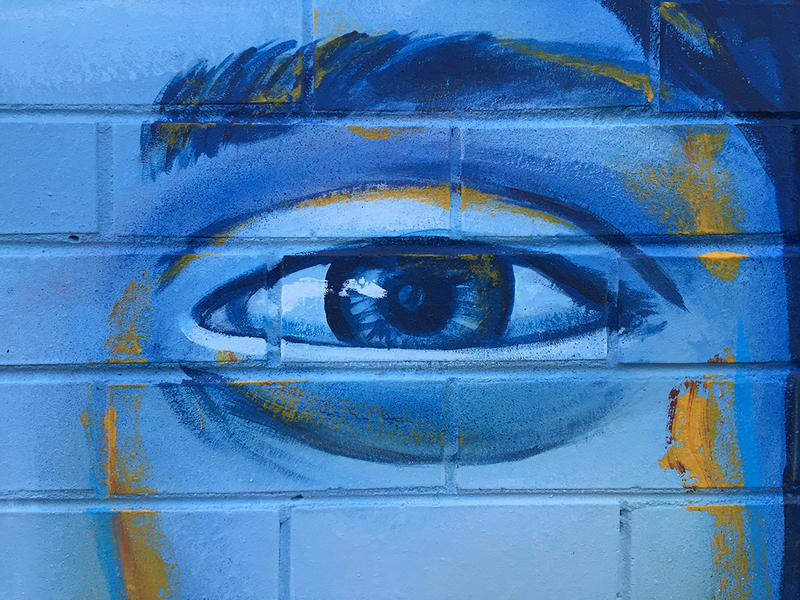 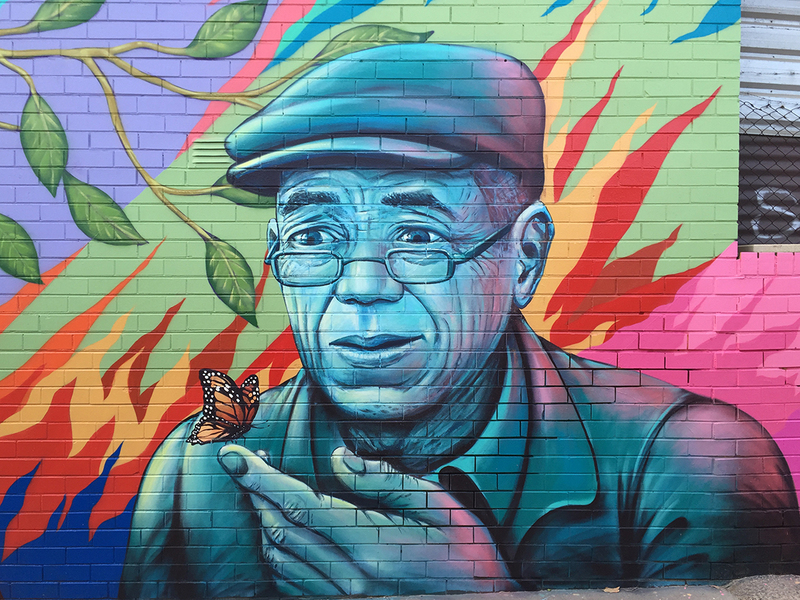 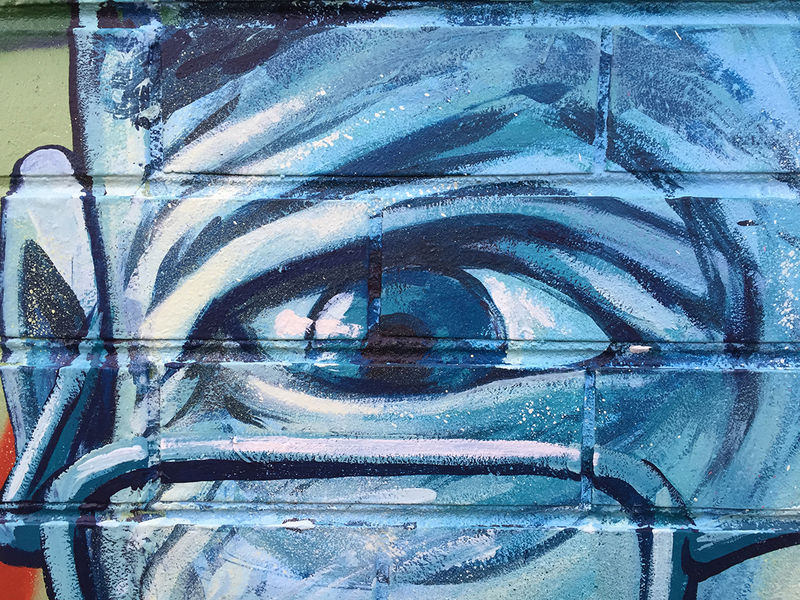 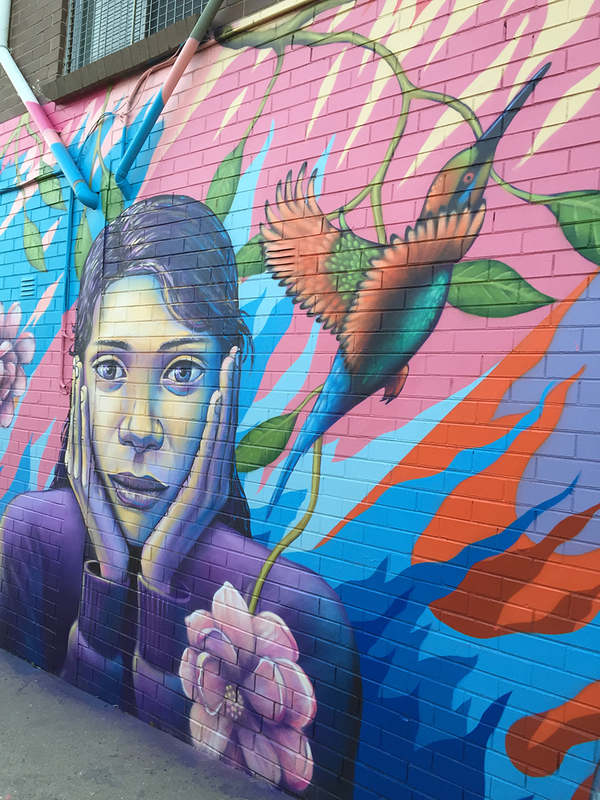 The mural is located at 52 Wanda street Mulgrave, it’s an area that doesn’t have as many murals as some inner city locations, and I’m proud to have been able to create this artwork somewhere a little unexpected. 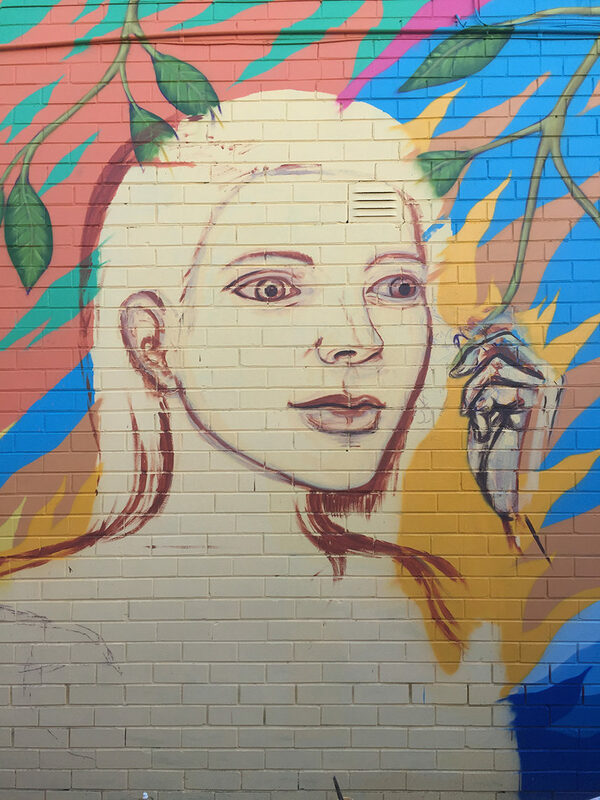 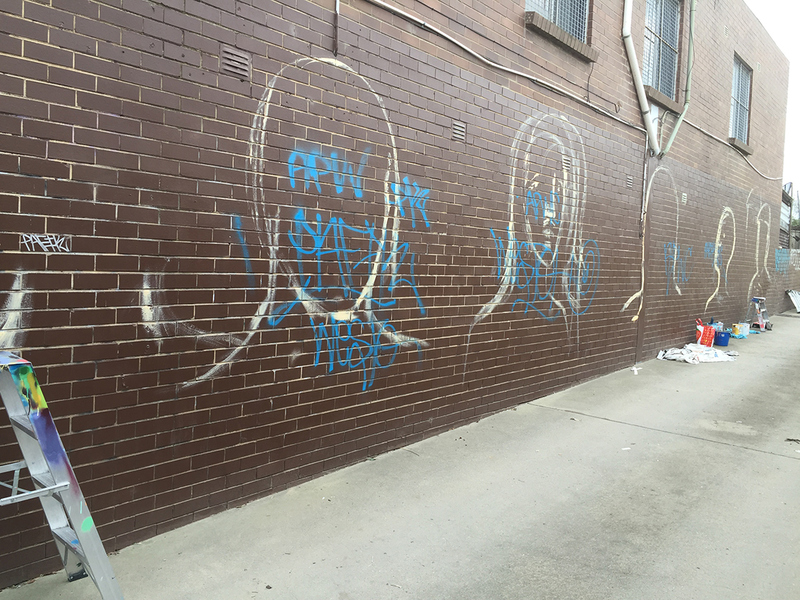 Below are work in progress shots as well as wide shots, portrait shots and detail shots of the finished mural – Enjoy!